As SXSW gets going, it’s worth remembering that disruptive brands need to be prepared to take a side, says Jason Foo. As the “Futurati” descend on Austin this week for SXSW and discuss the disruptions of the future, it’s worth reminding ourselves that the market advantages gained by organisations from these “disruptions” are only temporary. Disruption is not a new concept, either. It has always been the engine of change and progress – having taken us from living in caves, to being able to create fire, to then inventing the wheel. What has changed is that it has never been easier, faster or cheaper to usher in new waves of it: Technological advancement is accelerating exponentially, supported by our burgeoning application of artificial intelligence. All this will be on show at SXSW, although this year – partly as a result of the political situation – social impact, civic activism and brand purpose provide a key thread of the agenda. Take New Jersey Senator Cory Booker’s opening keynote focusing on gender bias in advertising; Tinder discussing its partnership with LGBTQ advocacy group, GLAAD; and Refinery29 talking cyberbullying with pop star Kesha. It seems brands are waking up to the fact that, if you rely on technology alone as the basis for advantage, your disruptive impact will be only temporary. Just as surely, you will be disrupted by the next waves of progress. 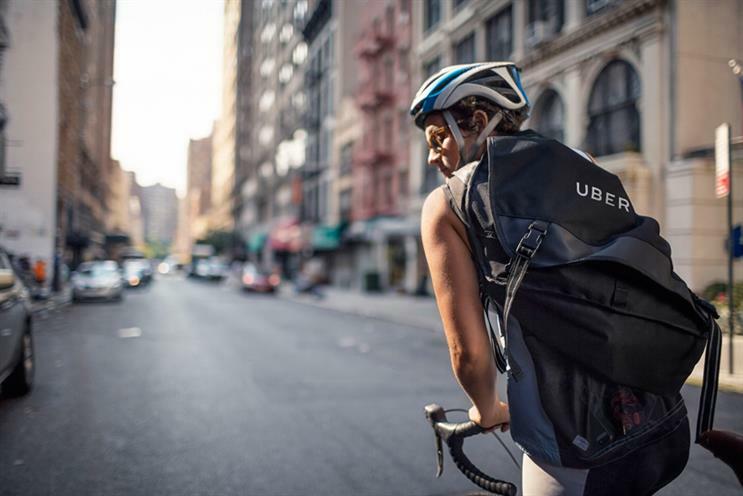 Indeed, some of the most famous and current ‘disruptors’, such as Uber and Deliveroo, might have found that they successfully used technology to shake-up their sectors, but they have been found wanting when it came to purpose beyond profit. Treatment of staff, assault and car accidents have tarnished Uber, while Deliveroo has found itself in the spotlight for questionable employment techniques. Fortunately, by embracing ‘purpose’, brands can insulate themselves against some of the wider forces at play – and many at SXSW have recognised this and are addressing it in their sessions: “Advertising for Good, What is it good for?”; “AI for Good: Unleashing the potential for everyone”; “Build a culture of Good: Unleash results”; “Design Sprints for Social Good” – the list goes on. Brand purpose, this most powerful form of disruption has been borne, to a large extent, from the crisis of trust and engagement with brands, with organisations and with governments. Commentators have spoken of widespread feelings of disaffection and alienation and vast swathes of society are looking for new ways to be heard, represented and served. These people are also voting with their wallets. Brands need to take heed, or pay the consequences. The answer to this is actually very simple and costs very little: demonstrate that you are trustworthy and build a meaningful connection with consumers based upon things you mutually care about. Tesco has clocked on to this, signalling its desire to build consumer trust by focusing on ‘purpose’ – with its chief executive Dave Lewis saying that this is “what anyone in the UK should expect from a business”. The brand has just launched a press and social campaign about its commitment to tackle food waste and has said that it will ensure that no food fit for human consumption will be wasted by its UK operations by the end of this year. According to data from Lewis’s former employer, Unilever, 33% of adults would buy a product from a brand because they believe it is doing social or environmental good. And Unilever itself has put purpose at the heart of its business. It is no coincidence it is the eighth most-applied to organisation on LinkedIn and attracts the best talent. What’s more, the recent attempted takeover of Unilever by Kraft Heinz was a fascinating assertion of the role of purpose in insulating the organisation from an unwelcome or “disrupting” takeover. While Kraft Heinz and its backers could see the opportunity to strip costs out of Unilever – and make it more purely profit focused – Unilever’s board and shareholders were of the view that it contributes more than that. Unilever’s triple-bottom-line commitment of people, planet, profit is driving the growth of the company: its sustainable living brands grew 30% faster than the rest of Unilever’s business in 2015. Newer companies than this august institution should learn from this. It’s clear that brands that nail their relationships to the cultural good are used more, advocated for more, preferred more and even forgiven more than those that don’t. It’s not just about creating a product but about building a movement: Among staff, shareholders and customers. Disruptive brands need to be prepared take a side and be as pioneering in their purpose as they are in their business model. Through this they can create a business people will not only notice, but may come to love. This is a message that attendees at SXSW will hear time and again over this coming week. Now that’s disruptive.